World Famous! 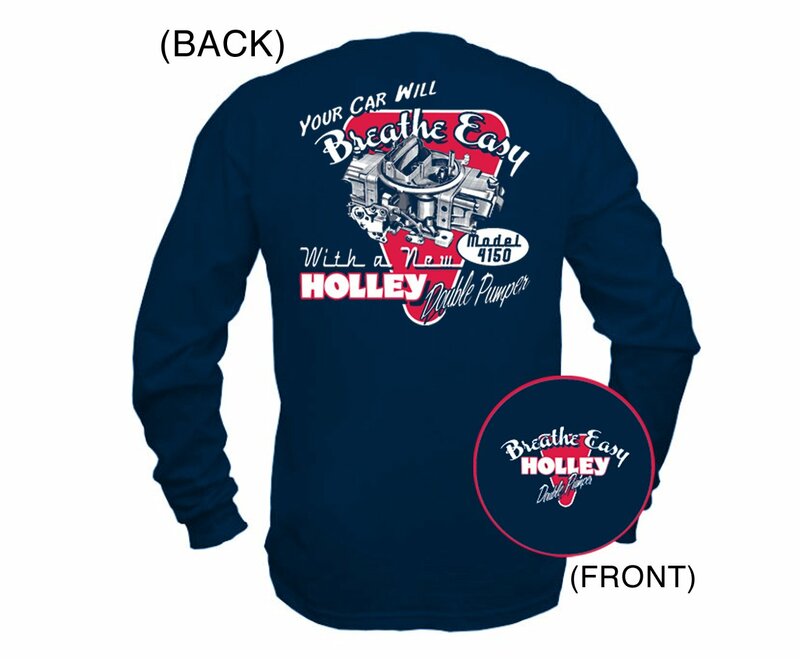 There are carburetors and then there is a Holley carburetor. And, none is more famous than the formidable Holley Double Pumper®. The Double Pumper met the demands for increased power being delivered by the factory muscle cars of the 1960s and is still doing so today! The new "Breathe Easy" t-shirt conjures images of this golden era of performance. The red and grey art contrasts perfectly against the navy blue Hanes Beefy T-shirt. Put one on and "Breathe Easy" knowing the statement on your back says you're a true hot rodder. This long sleeve shirt comes in SMALL TO 3X.